Salt is such a necessary yet ubiquitous commodity that we take it for granted, but this wasn’t always the case; up until the 13th century it was considered a delicacy and after that period it was held in such regard – and such a luxury – that it was heavily taxed. Wars have been fought over its flavour-enhancing and preservative properties. Once you had salt, it was impossible to face a tomato or boiled egg without it, it seems. Salt is available to us in two forms, rock salt and sea salt, and it has been harvested or mined in Britain and Ireland since the Iron Age. Several salts are found in rocks or the sea, but in its purest form common salt is the compound sodium chloride. Purified it tastes rather harsh, good quality salt has a much more subtle flavour because the other salts – which makes up to around 30% – present give it an important complexity. I always use sea salt in cookery, and it is doubly important to use it when salt is playing a leading role, like in salt curing for example. Ever since our evolutionary predecessors climbed out of the sea, we – as well as the other animals – have been dependent on salt in our diet. Of course, we eat far too much salt these days. The recommended intake is 6 grams and most of us go way over that amount. Perhaps surprisingly, people have been known to become salt deficient, especially those on a vegan diet. Meat contains all the salts you need but plants do not (though there are exceptions). 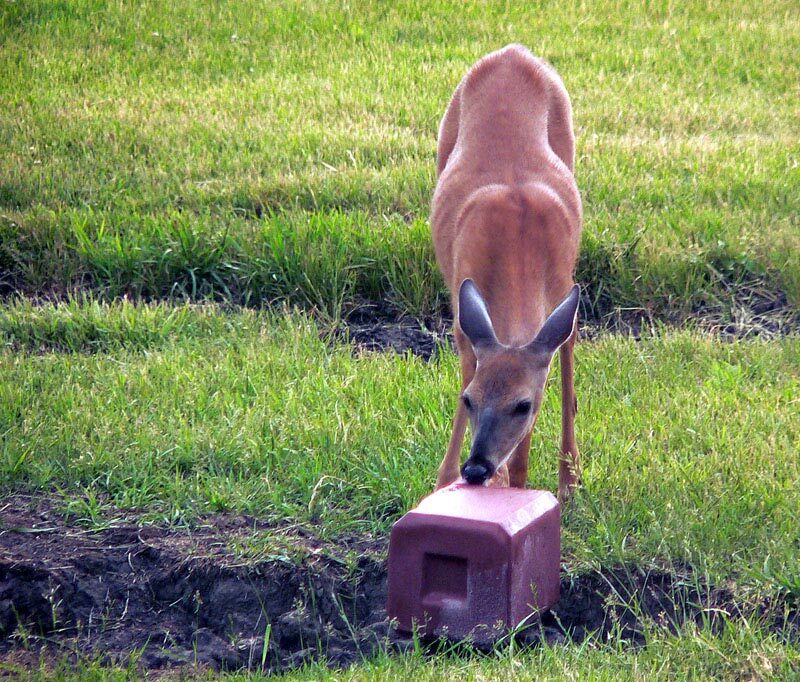 Many animals, mainly cattle and deer, require salt supplements in their diet in the form of salt licks. In the past people have eaten even more salt that we do now; centurions in Roman Empire would get a daily ration of one handful of salt! It eventually became easier to simply give the soldiers the money to buy the salt themselves for their salary (sal being Latin for salt). Due to its life-giving properties as well as its ability to prevent food from spoiling, salt has always been highly-regarded, so there is no surprise to find that salt symbolises life and purity to many peoples past and present. We are so tightly-bound with salt, that spilling it is considered a breaking of that bond, and bad form too, seeing how expensive it once was. To undo the bad that has been done, the spiller must throw a pinch over their left shoulder with their right arm; it is over you left sinister side where the demons hang out. 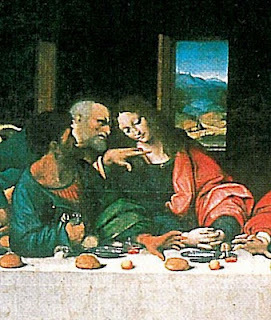 In the painting The Last Supper, Judas has knocked over a pillar of salt. Another place you will find demons is in your fire, so a handful of salt thrown in there will cast out any demons present. Salt was disliked by the Devil. Indeed, the devil may try and tempt you with a saltless meal, but don’t worry, if you put salt on the food it will cast it out, just like a crucifix. Look carefully and you can see Judas (left) knocking over the salt with his right hand. Salt was important in ritual. For the freemasons it symbolises the ‘life, the mother, the woman’ (as opposed to men which are symbolised by sulphur). Jesus called his apostles ‘the salt of the earth’ and Roman Catholics use it to ‘purify’ their holy water. It was traditional in Ancient Romans to give new-born babies a gift of salt. Sacrificial victims would also be purified with salt to make the poor victim more attractive to the deity in question. Sea salt has been extracted from brackish waters in Britain and Ireland by evaporation for many centuries. Water was simply heated in large shallow salt pans over wood fires. This simple method was used over most of Europe wherever there were salt marshes and estuaries. This was by far the main method of salt production until the Middle Ages where salt had to be imported from Europe to meet demands, it was one of the main contributors to deforestation in parts of Europe too, such was the demand ‘whole forests were burned to make this boiled salt’, says the historian Maguelonne Toussaint-Samat. One area of the country that still produces it is of course Maldon, which as a long history of sea salt ‘cultivation’. According to the Domesday Book, in 1086 there were 45 salt pans in Maldon. Salt-making equipment has been excavated from there that date back to the Iron Age. There not quite so much going on these days, but the saltworks at Maldon do produce the best salt in the country. Old recipes often ask for bay salt, which refers to sea salt i.e. ‘salt from the bay’. 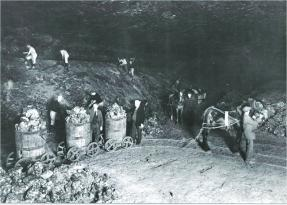 The boiled salt trade was hit hard in the 19th century when new and efficient ways of mining salt was discovered. The centre of salt mining in Britain is Cheshire, in particular the Winsford salt mine in Northwich which has been active since 1640. There are several towns in the area with the suffix –wich, this comes from the Anglo-Saxon word wych, meaning ‘brine town’. The price of salt dropped and has ever since been pretty cheap, though these days the salt from British salt mines is intended for industry and the production of salt licks for cattle. People argue as to which is best, but I think either is good as long as you are buying the unpurified kind. And the hollowed-out caverns of those Cheshire salt mines are used to house the store books of the John Rylands Library. BTW, Job is rong – egg white *does* taste of something without salt! I completely forgot about JR library doing that. The same is happening with Central Library too whilst it is being refurbished…. Did you mean that my quote is wrong? I have cross-checked and Job seems to prefer salt on his egg…. Better than Wikipedia! I used to live near Maldon, Essex. You need a big salary to afford the salt now though. No chance for an expat gourmand on a pension. Also congrats to Pemberly. Great link for the literati. I’m following. Hello there. Thanks for following. I have a no Wikipedia policy in my research for posts, so hopefully there’s different info in there…. Very interesting entry, on the other staff of life, I’d say. It made me wonder about two things. First, the cheap salt we buy is fortified with iodine, a nutrient that is essential and hard to get, inland. Does sea salt have sufficient iodine naturally? I think iodine is still a worry, even today, at least in the US. Second, the deforestation surprises me. Was evaporation not enough, or am I forgetting the English climate? Cheers Joan. There doesn’t seem to be the same fuss about iodine in the salt. That doesn’t mean it isn’t added. I think the sea salt contains some Iodine, but the pureified table salt doesn’t, though I might be wrong about that. For most of the eastern and northern end sea salt had to be boiled – the climate is too damp, cold and changable! Salt with iodine is referred to as ‘iodised’ – it stops salt cellars clogging up with damp salt. I think it was the Saxo brand of table salt that most prominently advertised it’s product as ‘iodised’. Iodine itself is essential to health. Something to do with the thyroid gland I believe. All seafoods contain it. The Welsh ‘lava bread’ (seaweed) is chock full. I knew that Iodine is in anything from the sea, but had never heard that it stops the grains sticking together, Everyday’s a schoolday! Possibly one of the oldest methods of cooking is interring something in a case that hardens during baking. Whole fish baked in salt in this way produces the most succulent fishflesh ever. Today, as I’m in Spain, I’m going to bake a dorada – that’s a gilt-head bream. Thanks for the inspiration. I am going to do bake a fish in salt soon as it happens ro go with this post. Never done it before though, but have eaten it…. Wow wow wow! Thank you very much for giving me the award and such praise too. It is always such a good feeling to know that someone else thinks you are doing a good job. I do love writing for the blog and hopefully it’ll go from strength to strength.